POA sold in complete 3 metre bays. POA sold in 3 metre bays. 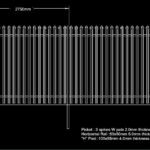 End post or additional intermediate post for 2.4 m high mesh panel system. 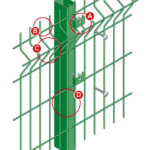 End post or additional intermediate post for 2.0 m high mesh panel system. 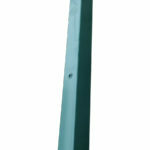 End post or additional intermediate post for 1.8m high mesh panel system. Galvanised steel palisade security fencing – 1.8m high. Prices From £28.20/metre (inc VAT). 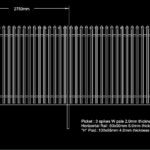 Galvanised steel palisade security fencing – 2.0m high. Prices From £30.42/metre (inc VAT). Prices From £31.32/metre (inc VAT). Galvanised steel palisade security fencing – 2.4m high. Prices From £33.63/metre (inc VAT).